Like most women, I wear many hats. Wife, mother, small-business owner. And like many women these days, I run my business from home. I guess that makes me a mompreneur – and part of a growing trend. In fact, almost 34 per cent of small businesses in Canada are now solely or partially owned by women, and chapters of MOMpreneur Canada are popping up from coast to coast, including right here in London, Ontario. 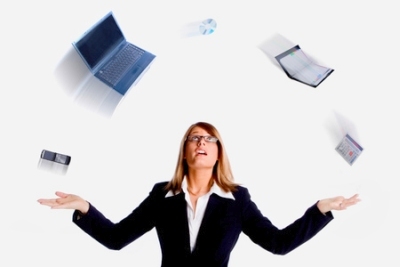 Balancing work and a family can be a juggling act – especially for a mompreneur! Juggling work and family is never an easy task. And when you’re a freelance writer, work is ruled by deadlines – deadlines that don’t care about sick children, muddy dogs, plugged sinks and all the other day-to-day distractions and responsibilities that come with family life. My decision to become a solopreneur was quite deliberate. I took a ‘traditional’ office job (in marketing and communications) so that I could qualify for maternity benefits, going out on my own shortly before my son was born. Before children, plowing through a to-do list seems as easy as 1-2-3. But once that baby is born just getting out of the house can be a major undertaking. If you are working from home because you want to be around your children instead of sending them off to daycare, set realistic expectations and cut yourself some slack. Yes, you may be able to work during nap time. But you may also need to catch up on your own sleep. And you may not give birth to a napper – my son was a bundle of boundless energy right from day one. While other kids slept four to six hours a day, I was lucky to get him down for 45 minutes. Luckily, he loved hanging out in a sling while I was at my computer as a newborn, joined me in my office in his Jolly Jumper later on, and started a morning preschool program as soon as he was old enough to be registered! 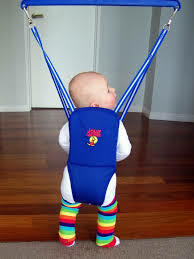 At one point, an office Jolly Jumper was a must! To be honest, I don’t know how I got any work done during those first few years – and I certainly wasn’t earning anything like a real income. But I did keep my fingers in the game. …and I got more efficient. Today, I am able to work a regular 6 hour day while he’s off at school – and boy can I get a lot done in those 6 hours! This may seem counterproductive, but carving out time for networking and just getting together with friends for lunch is one of the best things you can do to stay refreshed and motivated. It’s also crucial if you want to grow your client base and support network. I am always upfront about the fact that I am a solopreneur who works from a home office. And it’s never cost me a job. Some mompreneurs don’t mind working nights and weekends, but that is not for me. My son plays competitive hockey, so countless evenings are spent at the rink. Win or lose, watching the kids is always fun! In theory I could bring my work with me, but in practice that rarely happens. 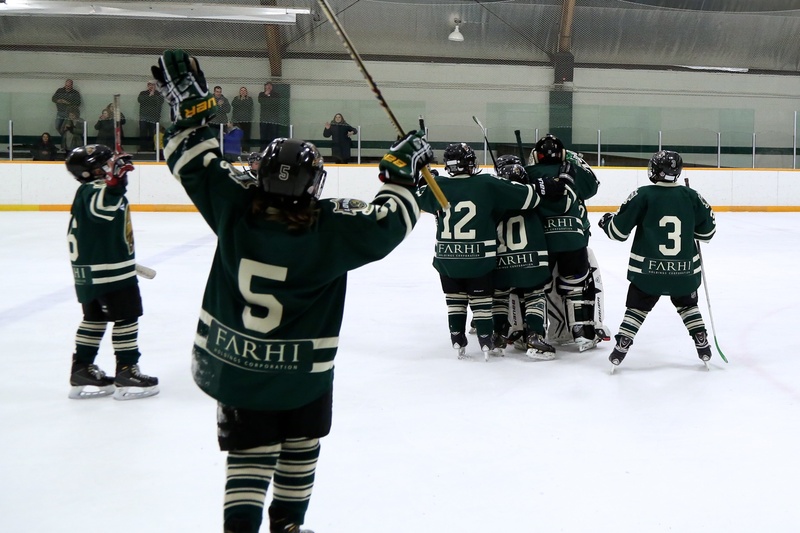 Watching the kids on the ice is too much fun – and socializing with the other parents is my ‘water-cooler’ time. If I am up against a pressing deadline, I prefer to wake up before dawn to get things done. If there’s really no time to take on a new assignment, I ask if the deadline is flexible. You would be surprised at how often people really don’t ‘need’ their copy by tomorrow! If I simply can’t make it work , I am happy to suggest other freelance writers in my professional network – colleagues and friends who will return the favour! If you need an uninterrupted block of time to finish a project ask your better half or other family member to help out with the childcare duties. Arrange a play date. Hire a sitter. Sometimes you can’t be everything to everyone. Especially not at the same time. Make time to do something for yourself – outside of work and being a mother. Me-time is not selfish. It’s a sanity savor. Despite my limited available work hours, I give myself permission to do an exercise class at least one morning a week – preferably two. Does it always happen? No. But it happens more often than not. As for working mom’s guilt? Just forget about it! How do you achieve the right work / family balance? To learn more about my work life, visit me at Spilled Ink Writing & Wordsmithing.